Southern pride is no laughing matter. We Southerners have a right to be proud, for in our veins is the blood of heroes. 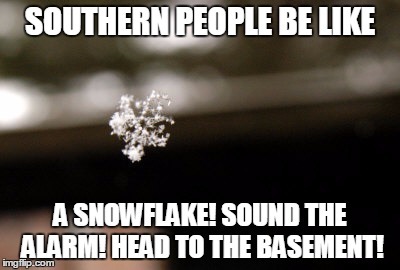 SOUTHERN PEOPLE BE LIKE A SNOWFLAKE! SOUND THE ALARM! HEAD TO THE BASEMENT!